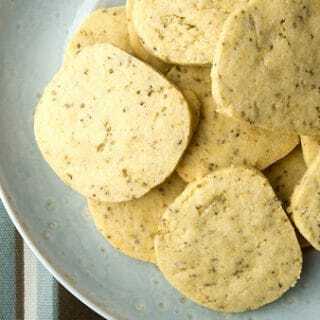 I first made these fennel cookies for our annual Big Fat Greek Party, a festival of all things Greek we hold every spring. They’ve been dubbed Bacchus Biscuits. I support that. Since then, I will make them from time to time as road breakfast, or toss them in my backpack when I am foraging or fishing. This recipe is a riff off one I found in Sunset magazine a few years back, but instead of the cornmeal in Sunset’s original recipe I subbed in corn flour, which you can get in many supermarkets marked “fish fry.” It’s just a really finely ground cornmeal. I also doubled the amount of fennel seeds — I collect mine from wild fennel plants down the road — added a pinch of fennel pollen and a splash of the Greek anise-flavored liqueur ouzo as well. You can skip the pollen and ouzo if you’d like, and the cookies will still be good. 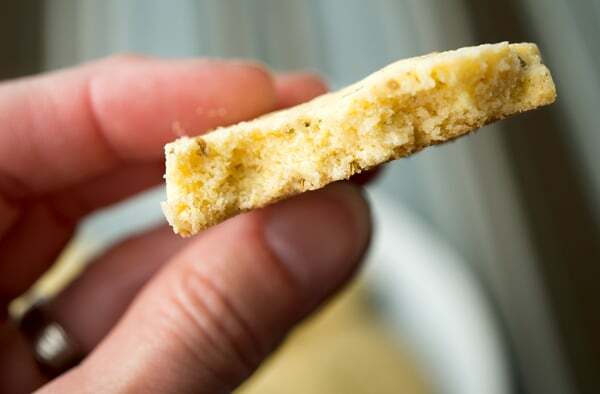 Basically it’s a shortbread cookie with a big hit of anise flavor from all the fennel and ouzo. These cookies are not too sweet, are easy to eat and last for a solid week if you keep them in a cookie jar. What’s not to love? 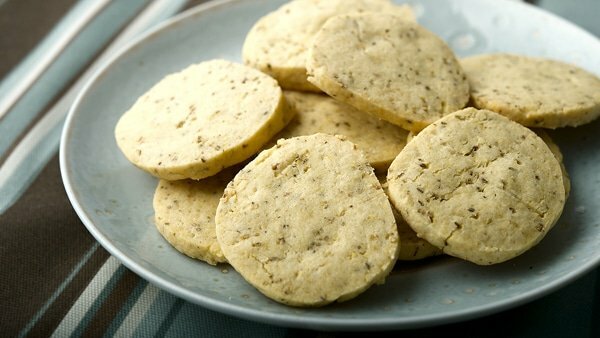 They're called “Bacchus Biscuits” because the followers of Bacchus carried a stalk of wild fennel as their, ahem, staff. True fact: Look it up... 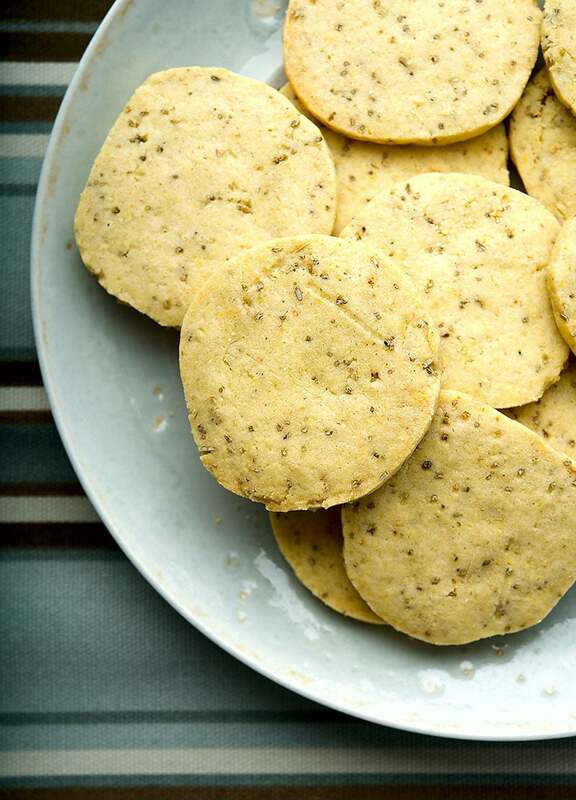 If you don't have the fennel pollen for this recipe, just skip it. The cookies are still great without it. Cream the butter and sugar together in a large bowl. Add the fennel seeds, fennel pollen, salt ouzo and egg and beat the mixture together. In another bowl, combine the flour, corn flour and baking powder and whisk to combine. Stirring all the time, add the dry ingredients slowly to the wet. Shape the dough into a log, cover in plastic wrap and refrigerate for at least 1 hour, and up to overnight — this is important, because you need the dough to be very cold, or the cookies will collapse as you bake them. They'll still taste great, but will look weird. When you are ready to bake, preheat the oven to 375°F. Slice off small cylinders of the log into cookies about 1/4 to 1/2 inch thick. Set them on a non-stick baking sheet, or a greased baking sheet so they don't touch each other. They should not collapse, so you can set them fairly close together. Bake until they begin to color on the edges, about 12 minutes. Remove and let the cookies set up on the baking sheet for 5 minutes. Carefully move them to cool on a wire rack. My mom used to make something like these. I’m making them right now with the addition of 1 tbsp caraway seeds. When you mentioned that you toss them in your bag while you are foraging or fishing, I immediately knew what these cookies reminded me of – Tolkien’s Elven Lembas bread. This fall when I go hunting, I’ll have to remember this recipe. Man I love these cookies!! Decided to add a bit of orange zest in addition….I didn’t use the fennel pollen or ouzo and they still were awesome! Thanks Hank!